I don't know if it's mere coincidence that I prepared this for lunch on the same day I started watching Jewel Bibimbap. Just like the drama, the dish is something you will never get tired of because of its different components. Steamed brown or white rice, topped with carrots, spinach, bean sprouts, shiitake mushrooms, fernbrake and ground beef- each one seasoned and cooked separately; the sauce is a mixture of savory, sweet, nutty and spicy so assemble these together and you have a symphony of all the wonderful flavors and textures in a bowl. I love to top it with fried egg and chopped green onions too. Yum yum! Place ground beef in a skillet over medium high heat and let the fat render. To serve:Arrange prepared vegetables nicely in a platter, fried eggs in another if serving and the gochuchang sauce and ground beef in separate bowls. Me lovey Bibimbap. Ahhh, it's the most perfect food in the world to me. I wish I were Korean! But Mr C makes his version like he's a Korean chef! 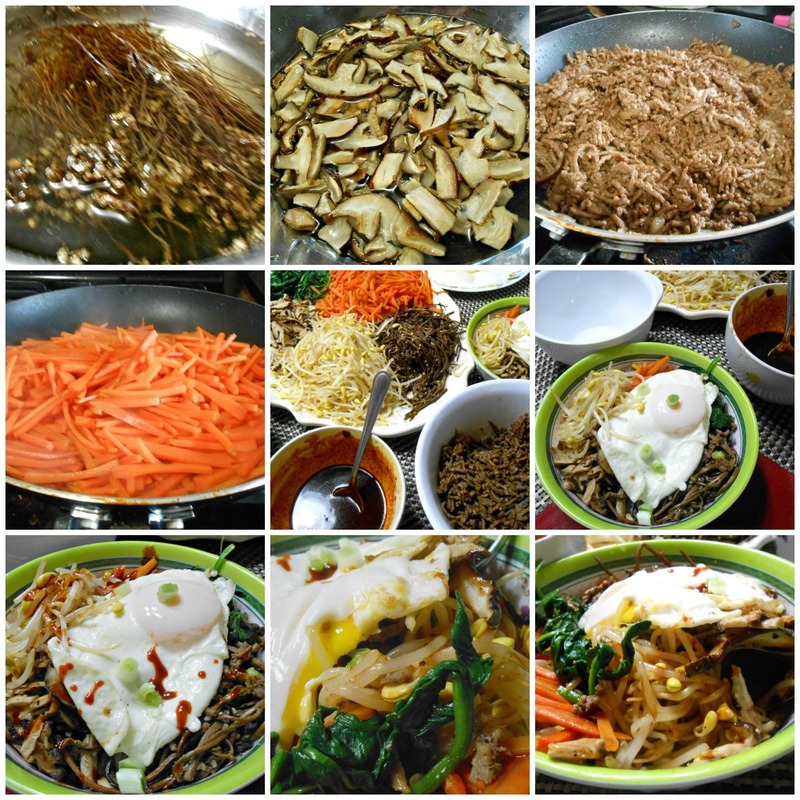 I love Bibimbap and yours looks perfect. I'm craving for a bowl now! :P Happy New Year!